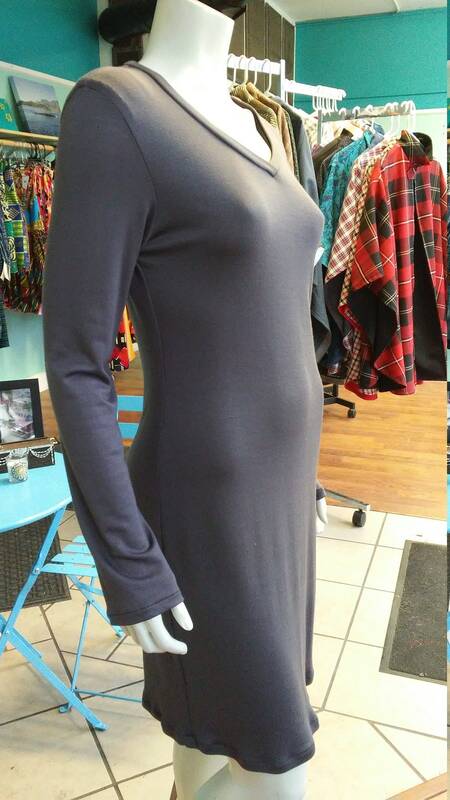 Super comfortable, lightweight knit long sleeve v-neck dress. Easy care, machine wash and dry. 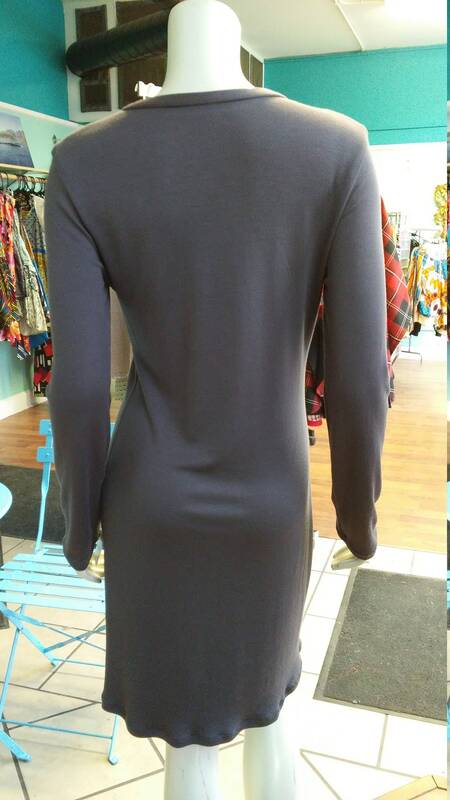 Wear with leggings, a belt, boots, etc. Versatile and comfortable.